City of Green is located at Bukit Jalil sitting next to the Bukit Jalil Technology Park in Selangor, Malaysia. 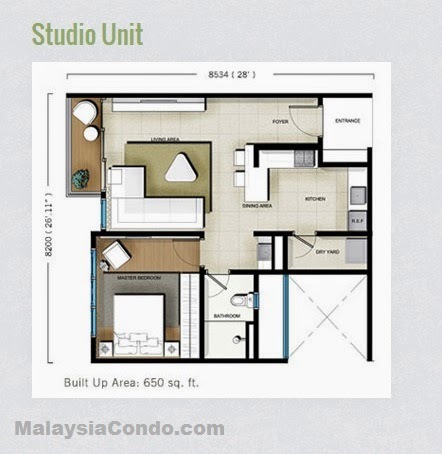 City of Green comprises studio units with built-up area of 650 sq.ft. 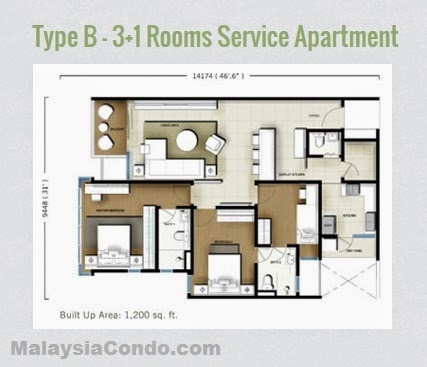 while the serviced apartment has a built area of 1,000 sq.ft. 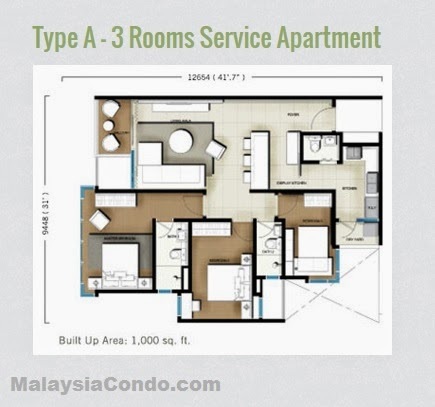 and 1,200 sq.ft. Facilities at City of Green include landscaped gardens, swimming pool, gymnasium, shopping complex, solar energy powered water heater, full kitchen cabinet and wardrobe, car park, 24-hour security, CCTVs, Smart Access Card (SAC) System and intercom system. Built-up Area : 650 sq.ft. - 1,200 sq.ft.